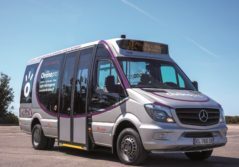 Guaranteeing mobility from the first to the last mile is central to Transdev’s strategy. In November 2017, we launched eight trial "on-demand transportation" projects in Sydney, Australia. In doing so, we are guaranteeing seamless mobility on a daily basis for the inhabitants of the country’s largest city. 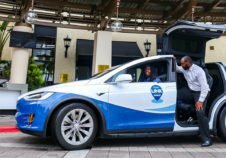 The increasing number of new collective transportation methods intended to replace private cars is likely to create interruptions in daily journeys. To avoid such inconvenience, we began by launching the RIDE Plus project, which increases the frequency of connections between the ferry quays and railway stations in two of the city’s suburbs. Next, we connected the railway stations and the Sutherland bus stops with the “on-demand” shuttle service; this is the Transdev Link project. Boosting fluidity also means working to synchronize different travel solutions. We launched an application and a website to collect data on travelers’ behavior to enable us to better understand their requirements and offer appropriate solutions. The ten shuttles operated by Transdev, which are fully accessible by persons with reduced mobility, can easily be booked by telephone. Payment is made by bankcard or by paying the drivers in cash. This high degree of adaptability makes it possible for everyone to use these transportation solutions. Maximizing the overall quality of the travel experience is also achieved by providing high-quality services: WiFi, USB ports, electronic sliding doors, etc. The results have met the hopes and expectations of both Transdev and the public authority Transport for New South Wales: passenger numbers have increased by 20% per week since the start of operations and the drivers are very much in demand. As genuine journey makers, they are attentive to their passengers’ needs at all times.